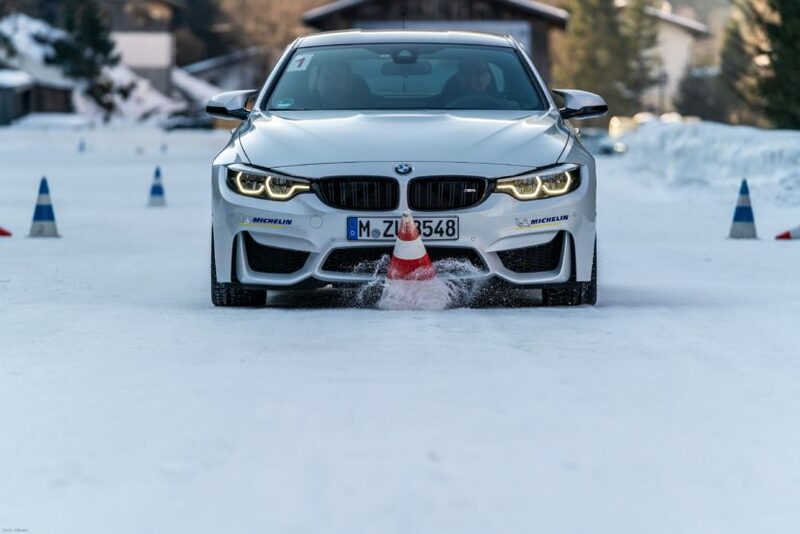 It is one of the largest driving programs in the world, catering not only to sporty drivers looking to master the Nurburgring and the Hockenheimring, but also to those that love to off-road in Namibia or South Africa, or spend some time in the snowy and scenic Alps (Sölden and Pitztal in Austria), or even drive on studded tires in Arjeplog, Sweden. Over the years, I was extremely fortunate to attend several BMW Driving Schools in the United States, whether being the M Schools in Spartanburg or more recently the BMW West Performance School in Palm Springs. All of them have their own charisma and have left me with lifetime long memories and lots of stories to tell. 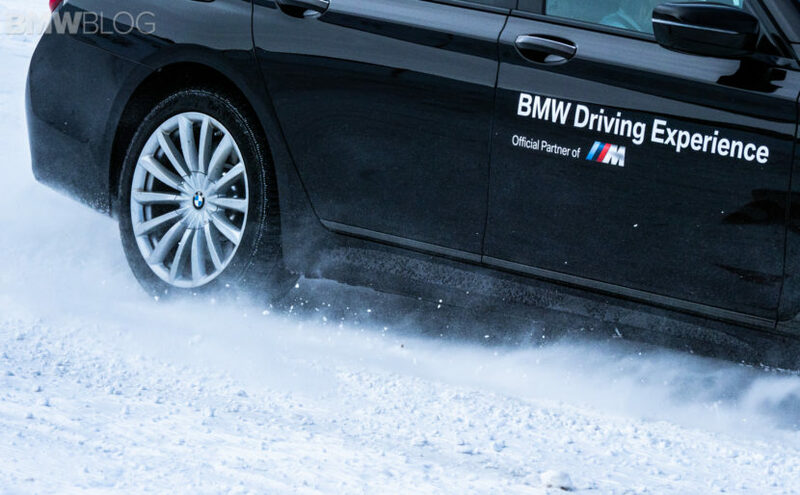 While I enjoy high-performance driving of M cars on asphalt, there is one school that I’ve always wanted to attend – The BMW Winter Experience in Europe. 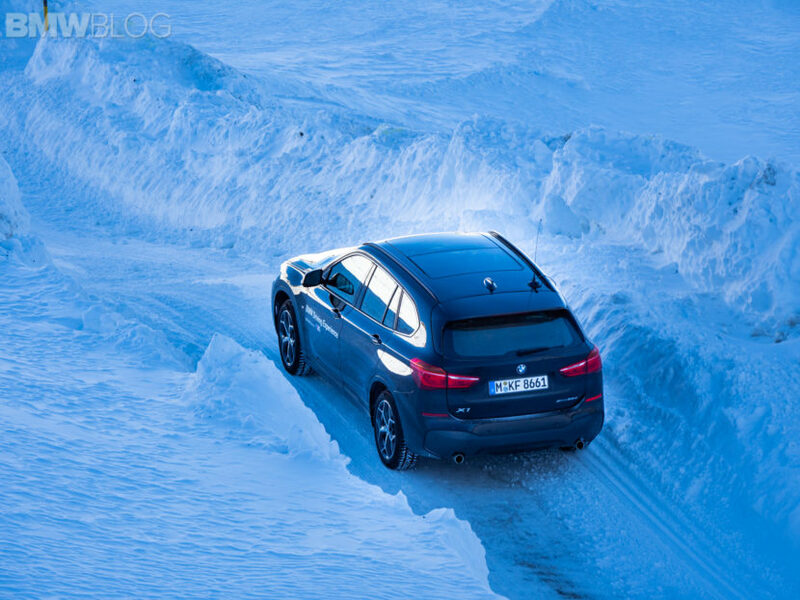 There are no less than six winter driving programs offered by BMW in Europe, and each and one of them has their own story to tell. 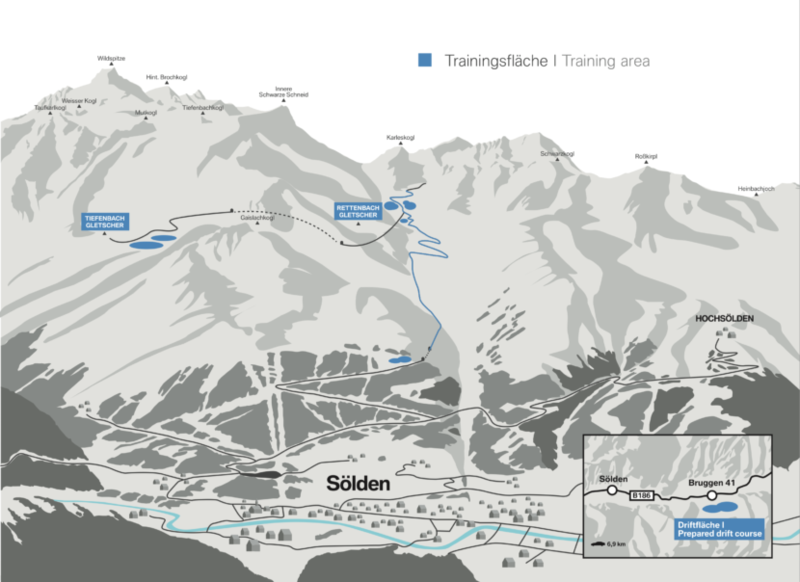 Mine is the BMW Snow Training Level 2 in the idyllic area of Sölden, Austria. 27 years ago, a handshake between Josef Bücherl, one of the developers of BMW driver training courses, and Hans Falkner, head of the 5-star hotel “DAS CENTRAL – ALPINE . LUXURY . LIFE”, sealed the launch of the BMW Snow Experience in Sölden, Austria. 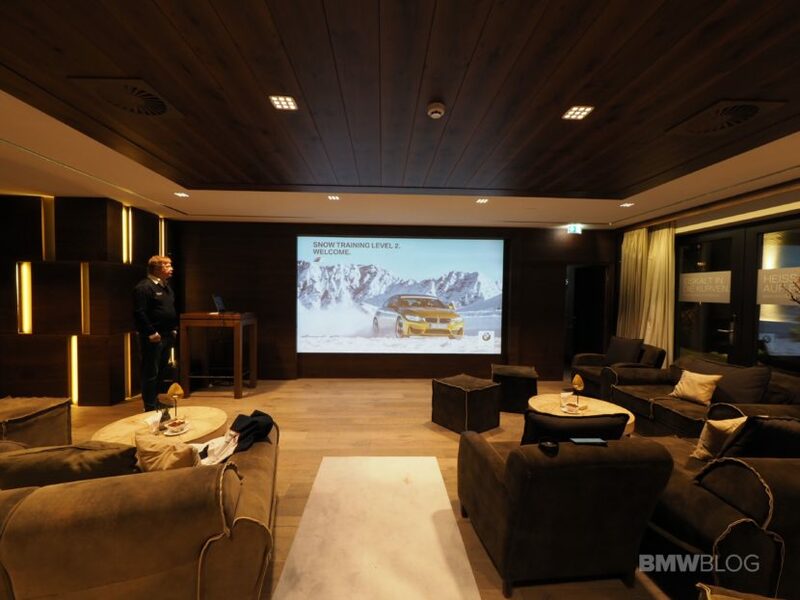 The BMW Driving Experience winter training program in Sölden takes place in a quite unique location. At 2,800 meters (over 9,000 ft) above sea level, it is the highest driver training center in the world. It’s early January and I am heavily invested into a brainstorming session for my Bucket List for 2019, but not just any Bucket List, but rather one that could be accessible to any passionate driver. And one of the items I wanted to check off in 2019 was learning how to properly drive in the snow and on ice. 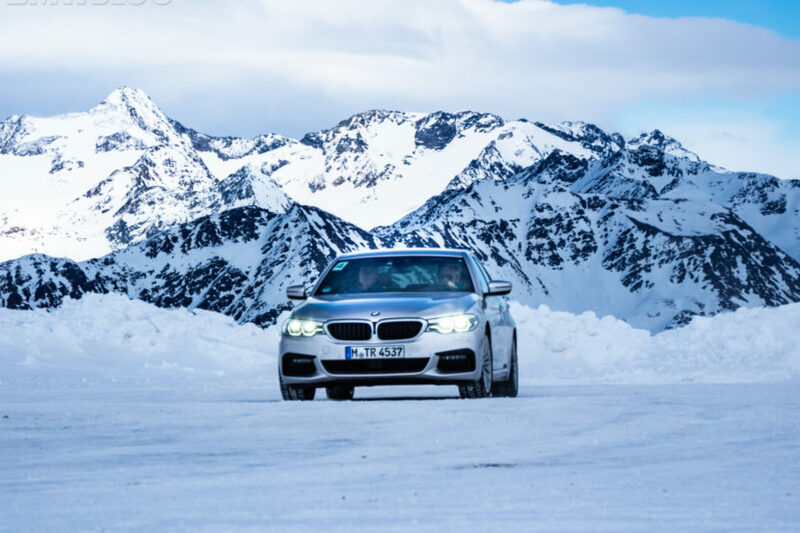 After a quick conversation with BMW and MINI Driving Experience folks in Munich, I was “made an offer I couldn’t refuse” – Come to Austria and immerse yourself into one-of-a-kind experience. Only a couple of things were required of me – pack your winter gear and have a driver’s license. After a quick flight from Chicago to Munich, I find myself in the hometown of BMW which, as always, requires a visit to the BMW Welt and Museum, a must for any tourist going to Munich. Sölden is about two and a half hours from Munich, so thanks to a BMW X4 M40i, and some fantastic roads even in winter time, I’m already enjoying this trip. The deeper I go into the Alps, the more idyllic the scenery gets, but nothing would prepare me for the beauty of Sölden which lies about 80 kilometers from Innsbruck, and home to 144 kilometers of slopes stretching from 1,350 meters up to the twin glaciers at a high point of 3,250 meters. 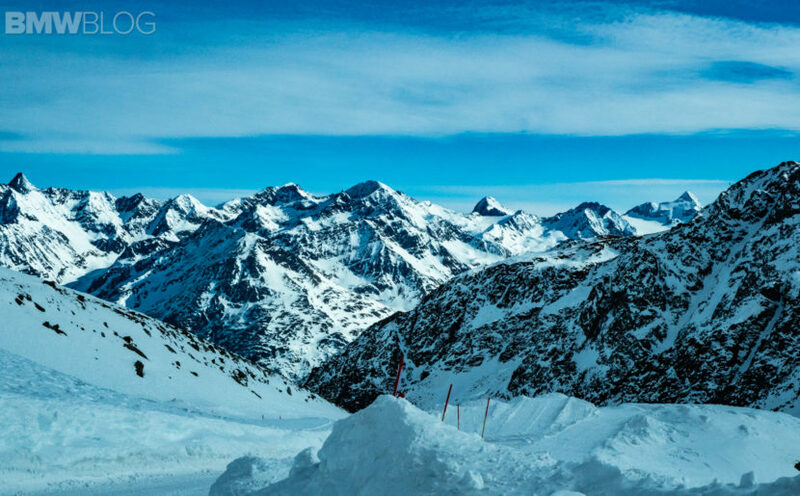 Soelden not only offers some of the highest skiing in Europe but it was also one of the locations for the James Bond movie “Spectre,” which can be further explored at the new James Bond museum at the Gaislachkogl summit which showcases the behind-the-scenes work of the 007 films. My home for the next three days is the “DAS CENTRAL – ALPINE . LUXURY . LIFE”, a 5-star hotel which takes pride in its wellness center, award-winning cuisine and wine. As a matter of a fact, Das Central was awarded the “Best Wine Hotel” in 2016 which is reflected by their passion for wine. 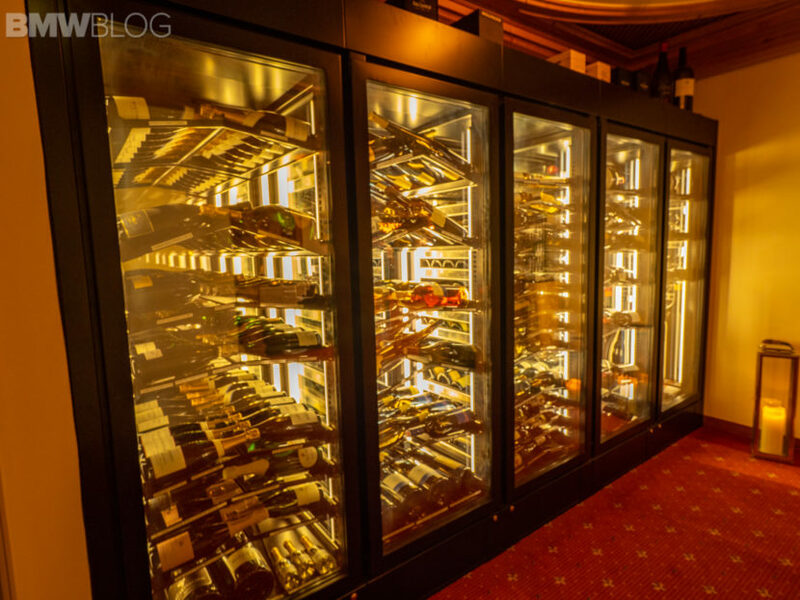 The wine cellar at Das Central is hosting over 30,000 bottles, including many rare wines. 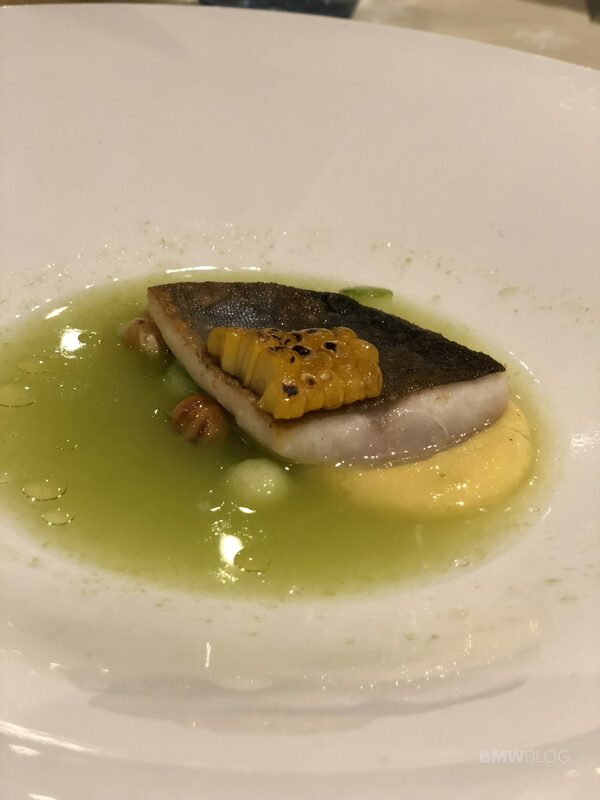 Those who love fine cuisine will find the Ötztaler Stube restaurant to be a gem hidden in the Alps and will make your stay and your family’s, more pleasant at Das Central. 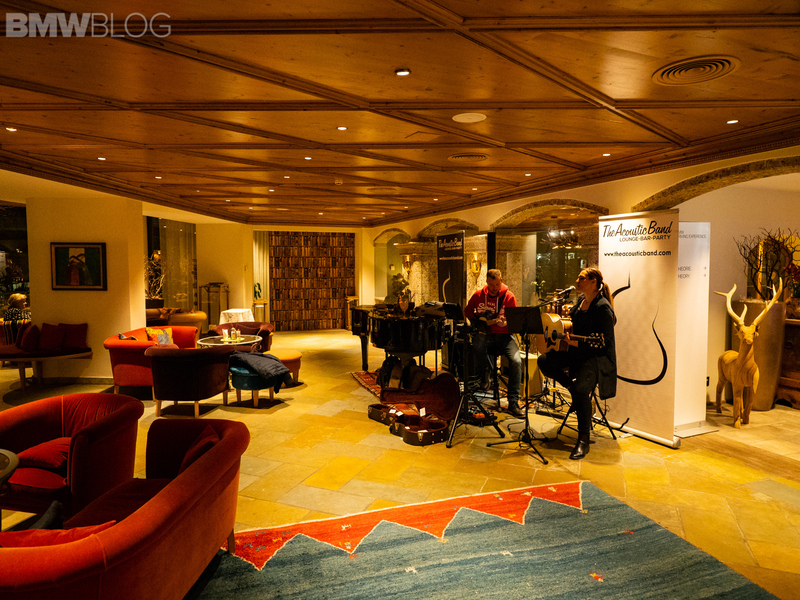 The morning views of the Alps and the late evenings with live music in the hotel, will ensure that your experience is at the highest possible level. 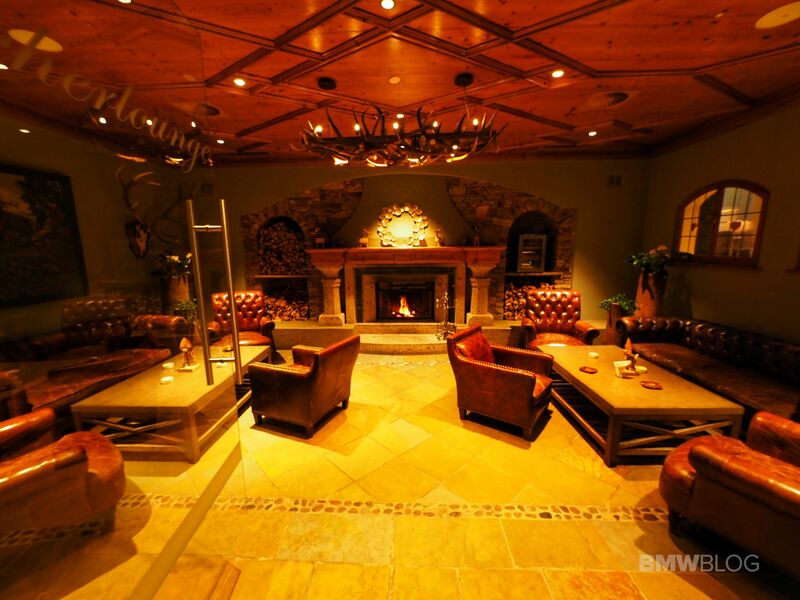 It’s also a great place to decompress and relax before a couple of exciting days driving some powerful and fun BMWs. 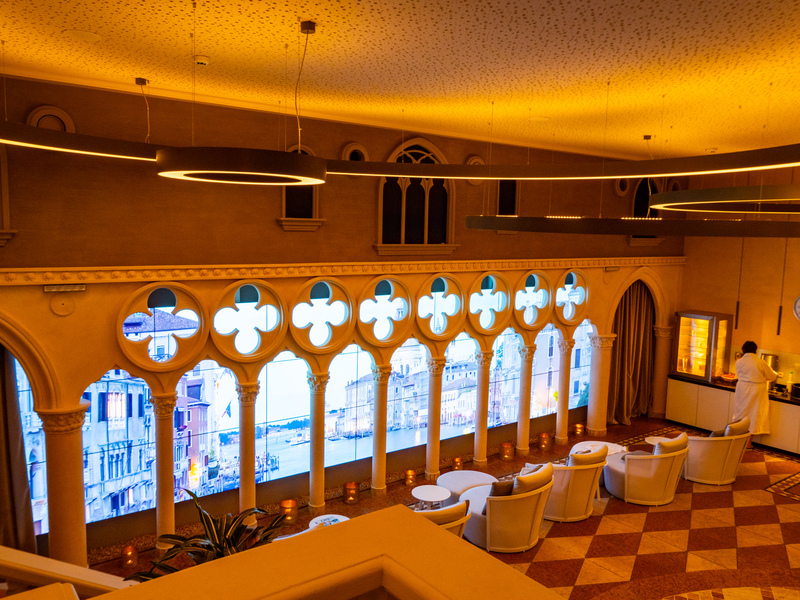 The wellness center is setup on three floors, with saunas, steam baths and a relaxation room called the “Venezia”. 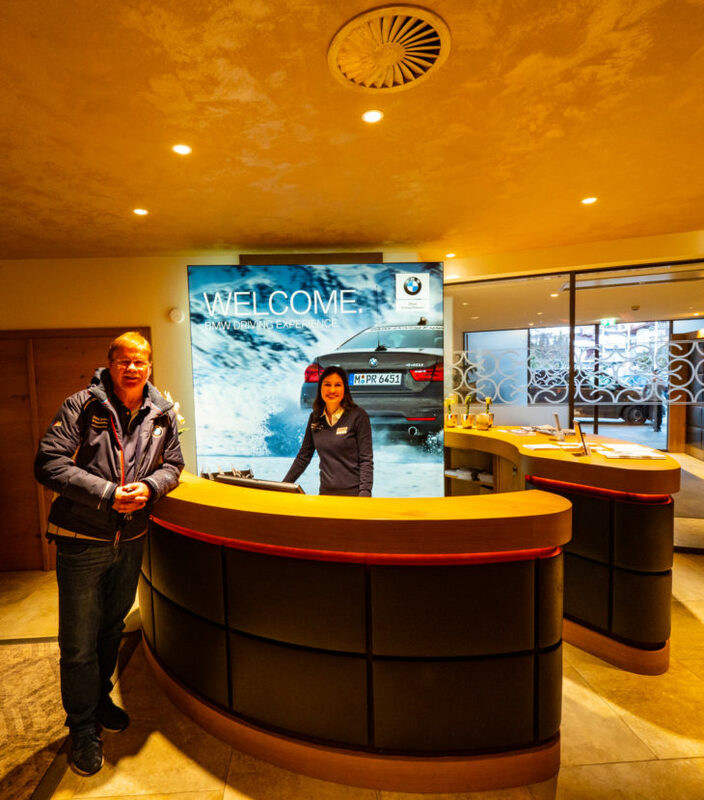 Upon my arrival, I and other guests are greeted by the BMW Driving Experience team at their booth in the hotel lobby, and further details are given about the program and scheduling. If you arrive early in the day, this also gives you the chance to walk around and experience the BMW display nearby the hotel – the new G20 3 Series was there as well – or you can simply head down to the wellness center at Das Central which will surely impress you. First official time on the agenda is set for 6PM where all the guests – German and English speaking – are invited for a meet and greet session with the BMW Driving Experience instructors. Our hosts for the week are Karl-Heinz Müller – the head of the team – and Markus Willhardt, two extremely experienced instructors and entertaining hosts. Shortly after, the “Theory of winter driving dynamics” short class is underway where you learn the basics of driving on snow and ice, starting, of course, with the proper seating position, steering wheel adjustments, braking, oversteer and understeer, differences between rear, front and all-wheel drive vehicles, driving assistance systems and much more. Everything is presented in an interactive way through short films and questions are encouraged. 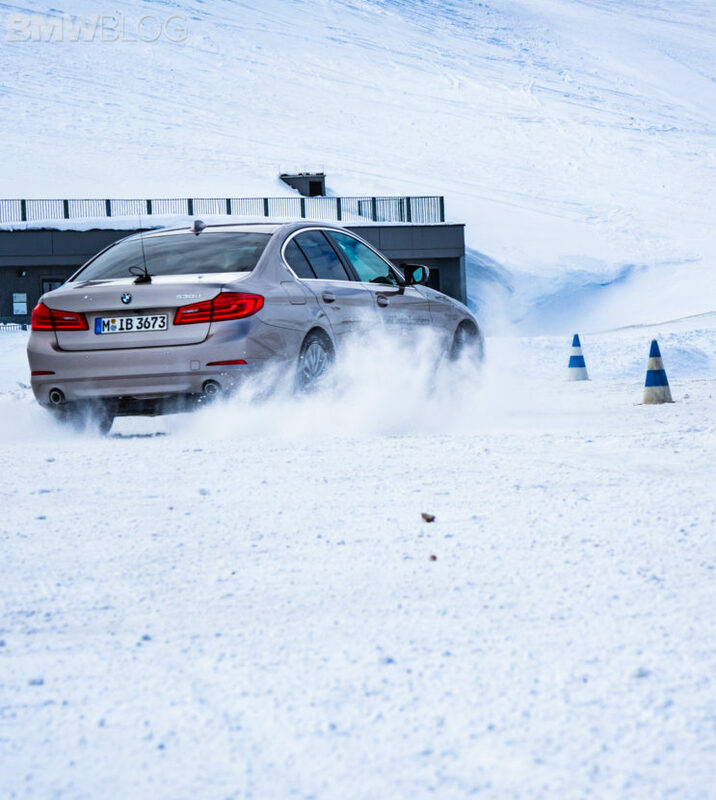 The goal of the BMW Winter Experience program is not only to learn how to safely handle your car in winter and ice conditions, but more importantly, to have some fun while doing so. Also, if you’re not from Europe, then learning about mounting a snow chain on your tires will certainly put a smile on your face. 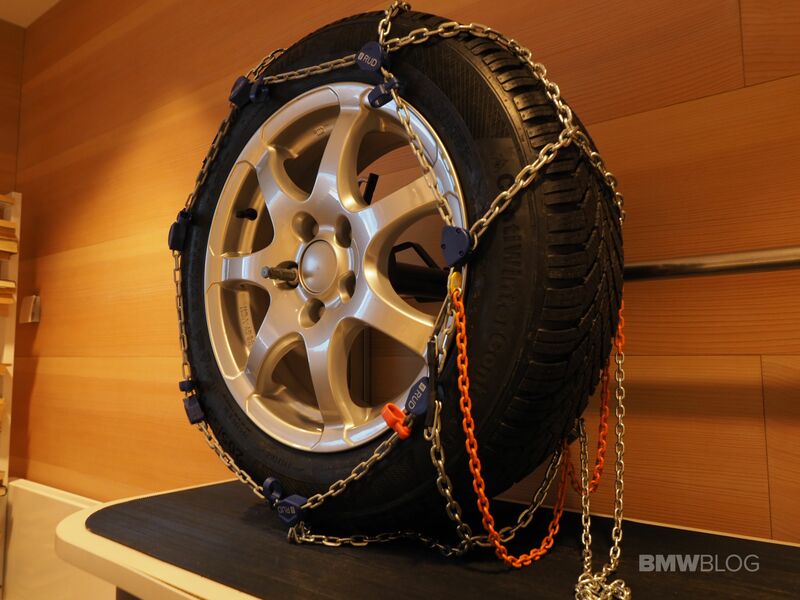 The BMW instructors uses an actual winter tire to demonstrate how to quickly install the chains. Might be a novelty for Europeans, but certainly unique for the others. 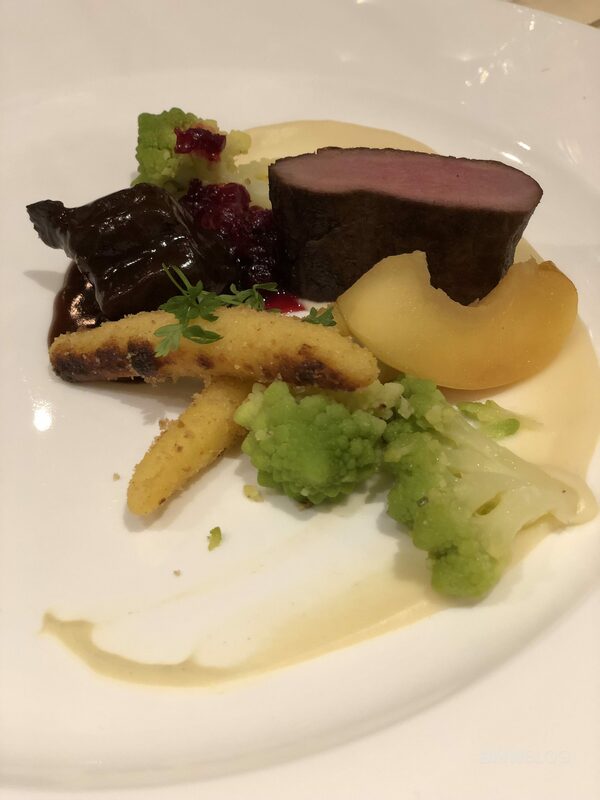 The evening concludes with a several courses meal at the Ötztaler Stube restaurant which lives up to the expectations and sets the mood for the next day. And some great cheese as well. 7AM is the wake-up call which gives me enough time to grab some breakfast from the fantastic Das Centra’s restaurant. An espresso is a must as well, just before we’re gathered together and handed out the keys to our chariots. 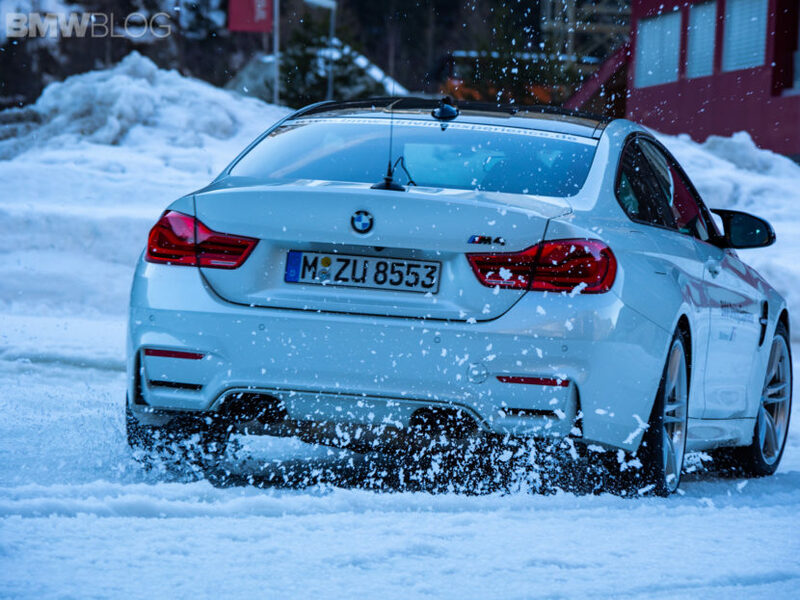 In this case, five BMW M4 Coupes with two participants per car. Day 2 of the program takes place at the BMW Training Ground in a valley near the hotel where a series of tracks were setup ahead of time. Markus is our instructor today and he gives an overview of what to expect today and what we will learn by the end of the day. Basically, the first day of the driving course focuses on steering techniques, braking from different speeds, braking and lane change, emergency braking, traction exercises, perform a J-turn (backwards and accelerate), oversteer and understeer recovery, drifting, more drifting and long track drifting. Every single exercise takes place in the BMW M4 Coupe, with the DSC ON or OFF, based on the type of exercise. 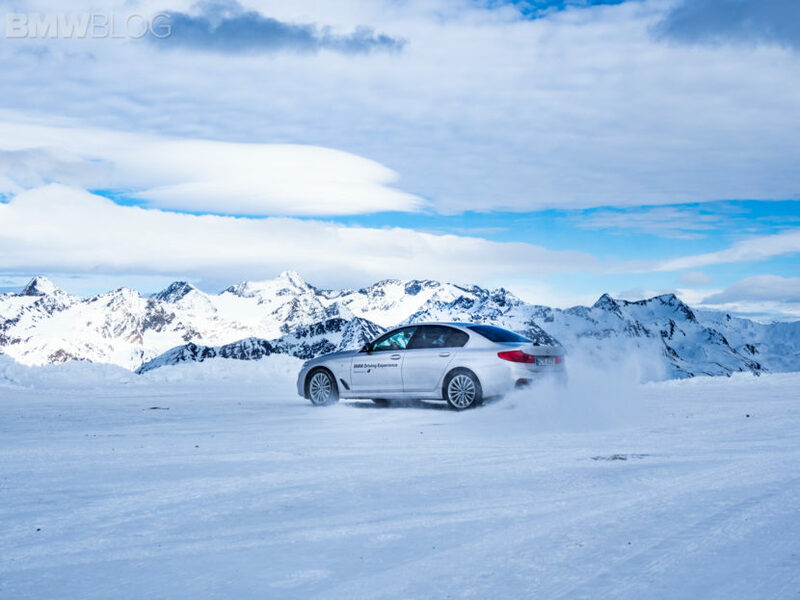 The tracks setup will vary from snow and ice conditions, based on the temperature outside and time of the day, which honestly, it’s what I’ve been looking for since you have the chance to really learn how to handle a powerful car on difficult surfaces. Each exercise is preceded by theoretical and practical instructions which helps you build confidence for the practice rounds. Each driver takes turns on performing the exercises and real-time feedback is provided by the BMW Driving Instructor which truly helps hone in your skills and avoid mistakes. Everything is done with a smile on your face, especially when you turn around and see the beauty surrounding you. While every exercise is fun and serves a purpose, there are always some that will be more exciting to the driver. In my case, I enjoyed performing a proper J-Turn, which basically has the M4 going backwards at about 60 km/h speed, then the DCT is put into neutral mode, just milliseconds before steering the wheel all the way to the left and putting the M4’s nose facing forward. Next, you quickly put the car in Drive mode and accelerate. The other exercise that my group appreciated was evading an obstacle while braking on a very icy road. Once again, the exercise is performed at various speeds and it will really test your concentration and agility. It’s also a great way to learn about the braking distance on various surfaces, which can become extremely handy in your daily driving. Our instructor also let us test the M4 with DTC mode ON or OFF, in order to see experience the car’s traction upon acceleration. 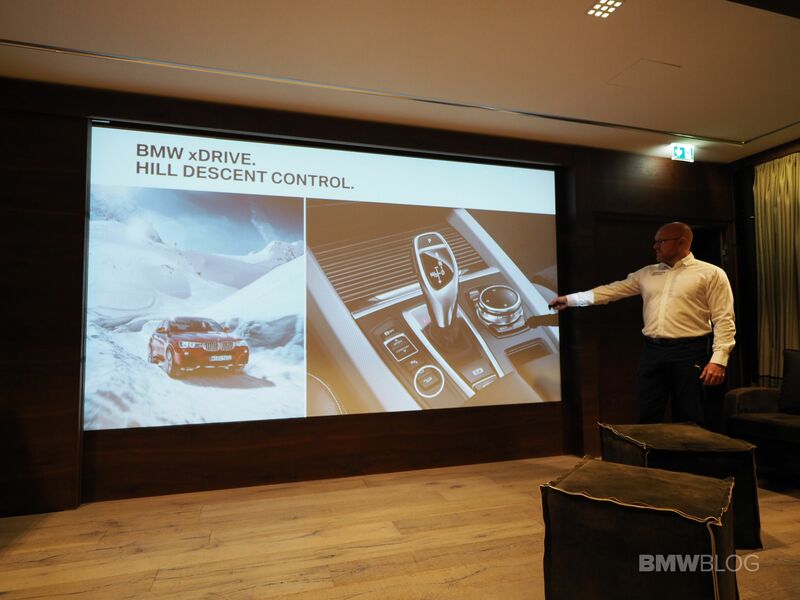 The idea here was to show how a smooth throttle will help you move forward, effortlessly, even when there is no xDrive system. It’s now noon and we’re heading back to Das Central for a much deserved three-course meal, while anxiously looking forward to the fun part of the day – DRIFTING. While spinning the rear wheels of your car is always fun, learning how to properly and safely do it, it’s what matters most. 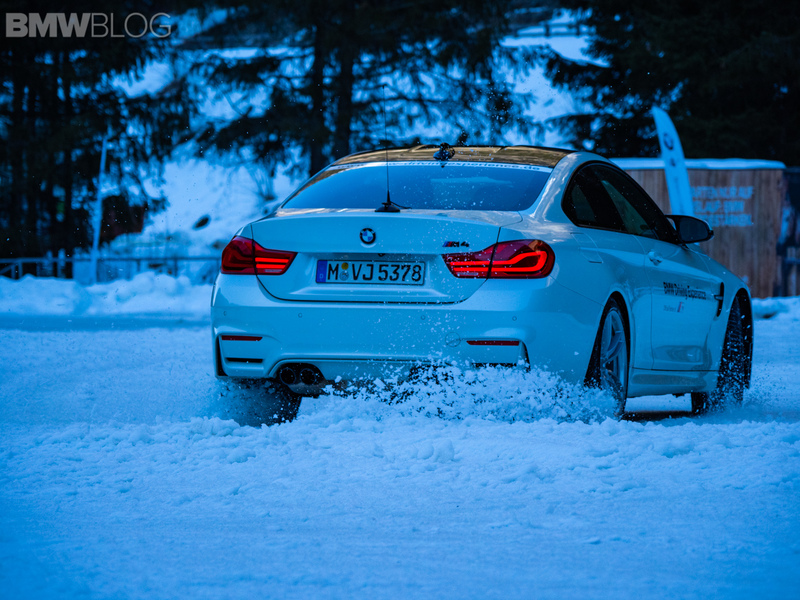 Markus walks us through the basics of drifting on snow and ice, with the proper oversteer, understeer and throttle control techniques, and sets us loose to try the M4 on our own. Two circular tracks are now in place, along with a more advanced track in the shape of an “eight.” This is where several of the skills perfected earlier come into place, especially when it comes to oversteering, understeering and recovering techniques. While going around the circle or the “eight”, I get to play with the M4’s power to keep a consistent slide, which sounds easier than it is. Being on very slick surfaces, it doesn’t take a lot of power to send the car in an oversteer or understeer situation, but since you’re running the M4 at low speeds, you have plenty of time to fine tune your steering inputs. This drifting exercise is also one of the longest, so there are enough runs to practice. From my experience, about 10 min into the exercise, and I was able to maintain consistent slides around the circle while pushing the speed higher and higher. Now it’s time to see who’s taking home the “King of Drifting” crown. 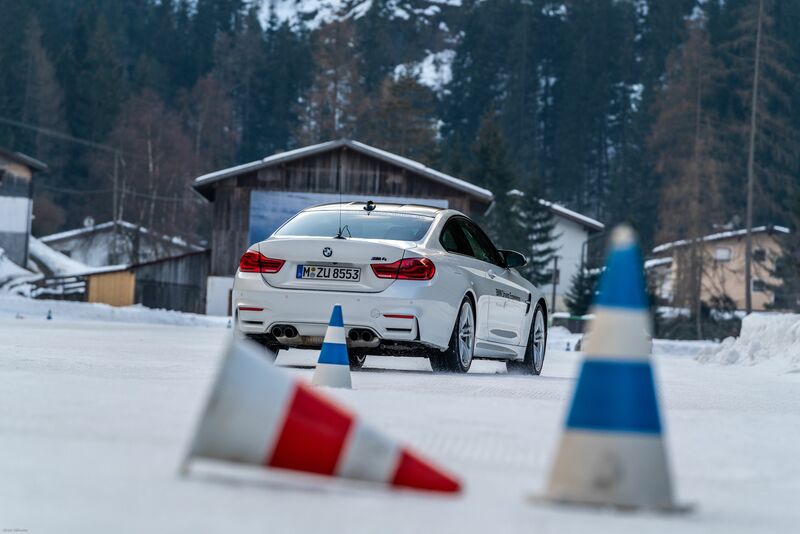 I’ve recently done the “Rat Race” at the BMW Driving School in Palm Springs, but that was done on a dry and grippy surface, so entirely different than on ice. By now, the temperature has considerably dropped and the ground is quite icy. Two cars sit at opposite starting points around an oval and the goal is to cross the line first on the other side. After 10 laps of this, the M4 winning the most rounds, gets to stay at the table waiting for the next opponent. Being done on a very slippery surface, the smoothness of your steering inputs will be the decisive factor. You start off easy on the throttle and you have to go around smoothly around the corner so you can quickly straighten the wheels and apply power on the short straightaway. It certainly looks easier on paper and when the driving instructor does it, but you will soon learn that traction is sometimes a commodity you don’t have. Unfortunately, I lost in the last round, so while winning on dry surface was an achievement, racing on ice or snow it’s a total different beast. Nonetheless, the lessons learned here will be useful in many of daily driving situations. The day is about to come to an end and everyone is my group is certainly not ready to head back to the hotel. 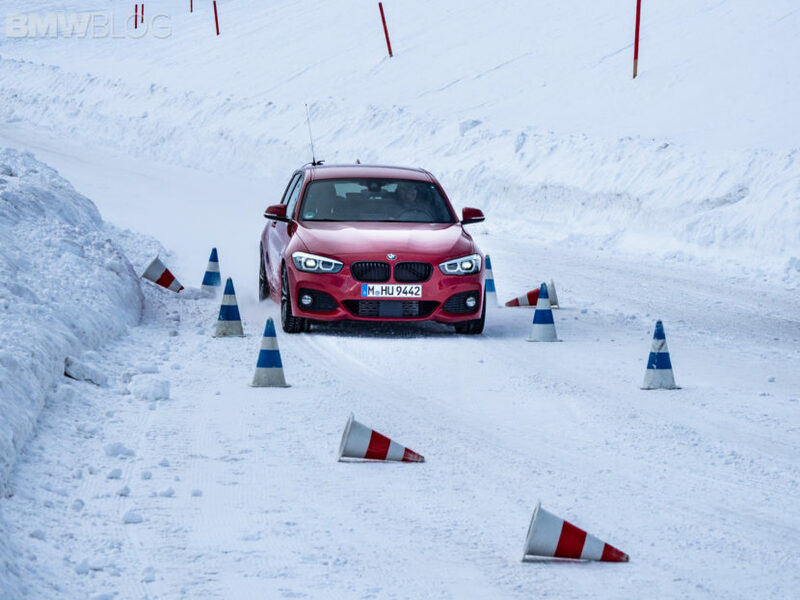 To our surprise, Markus has one more thing in store for us – a slalom on the long track where you get to drift in between cones, around full and half circles. The entire lap takes about three minutes to complete and as you can see in the video below, it’s quite yet challenging, yet fun. Eight hours have just flown by quickly and now I’m heading back to the hotel for some personal time before yet another gourmet meal. 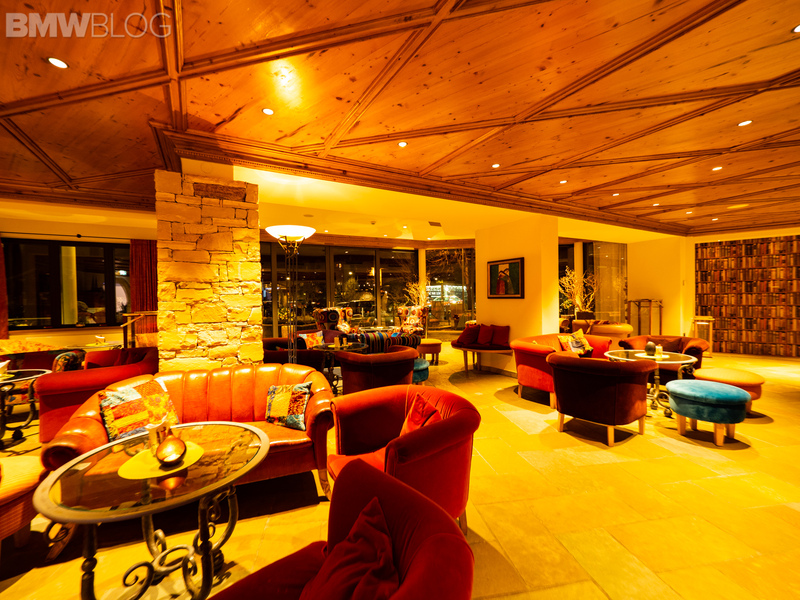 The hotel’s lobby has three beautiful lounges, one of them facing a piano where a live band entertains the guests. If you want a more private setting, there is a chic room just behind it where you can warm up by the fireplace and enjoy some fine wine. Or if you’re looking to take advantage of the spa spread across three floors, then you can take the time to decompress in a sauna or hot tub. The evening continues with another five-course meal, some more wine while sharing stories from today’s experience with all the other participants. It was interesting to learn about their experience behind the wheel and the reasons for attending the school. Some were clearly into high performance driving, while some participants saw this as the perfect vacation with their loved ones. There were a couple gentlemen from Poland who received this experience as an appreciation gift for their sales performance at work. 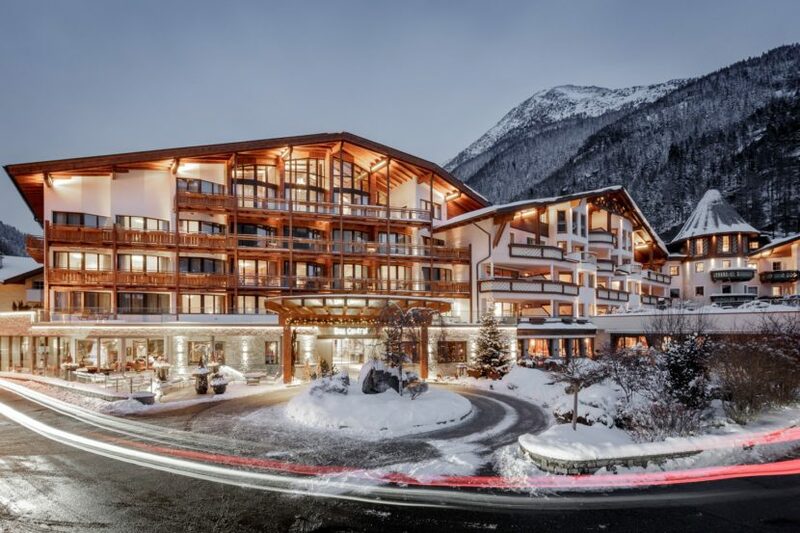 I’ve also learned that there are families who attend together, corporate groups or even friends that want to spend a few days together in the beautiful Alps, while driving some cool cars. 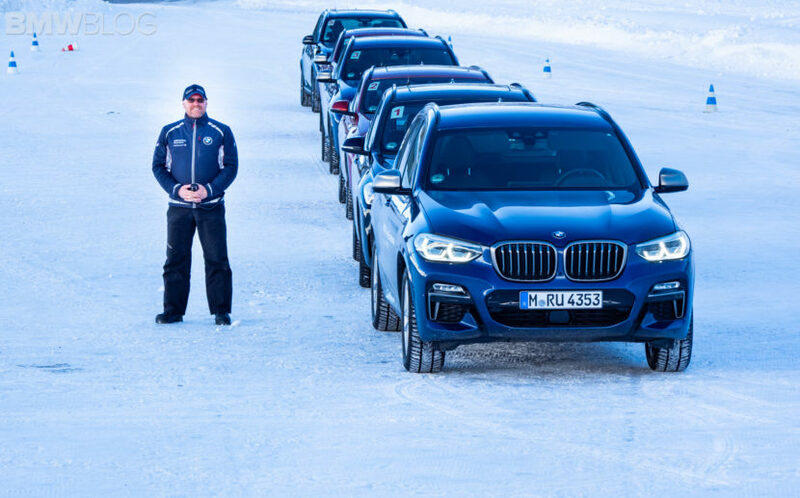 The BMW Winter Experience really caters to everyone, and that could be easily seen by the diversity of the participants. 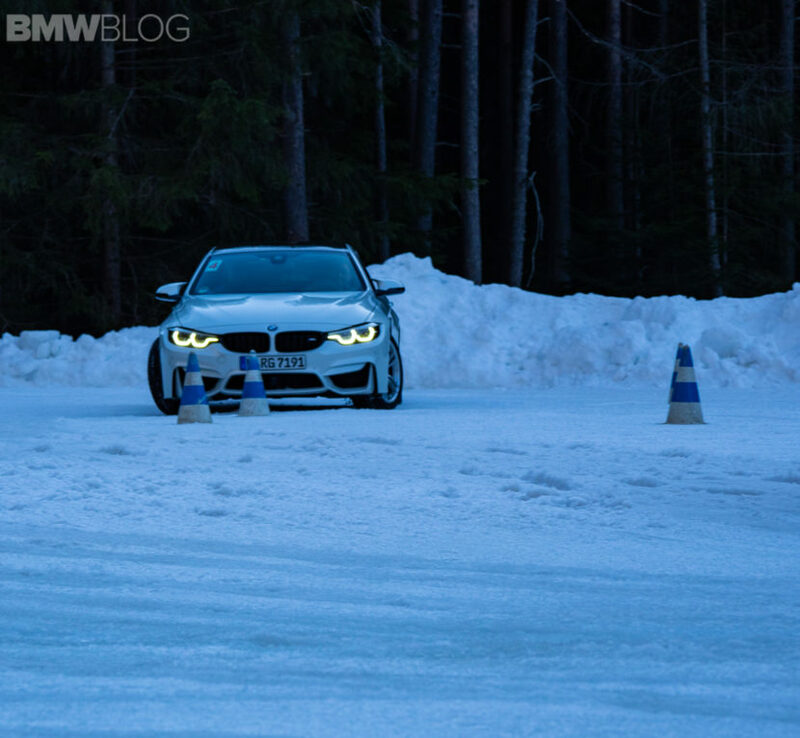 After a great night sleep, the last day of our BMW Winter Experience is already shaping up to be quite an adventure. 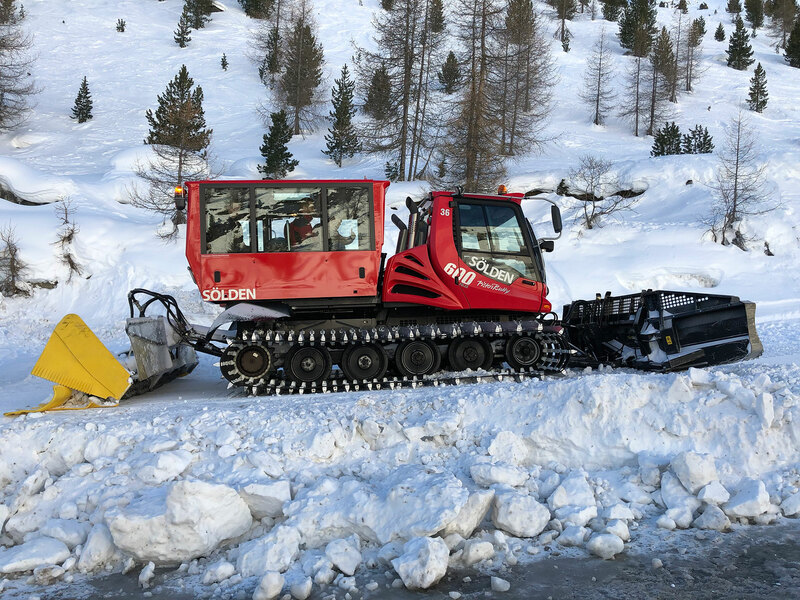 After a quick drive at the base of the ski slopes, we’re now boarding a bright, red PistenBully which will take us all the way to nearly 3,000 meters. The 600 horsepower snow groomer is quite fun and despite my request to “take it for a spin”, I had to settle in the co-pilot role. About 30 minutes later we arrived at the first glacier which is truly picturesque. Mountains all around you, plenty of snow and a beautiful sun which sets the tone for the day to come. We have not only changed the scenery, but also the BMW models we’re going to use. Long gone are the M4 Coupes which have been replaced by a fleet of BMW X SAVs and later, by some xDrive models. 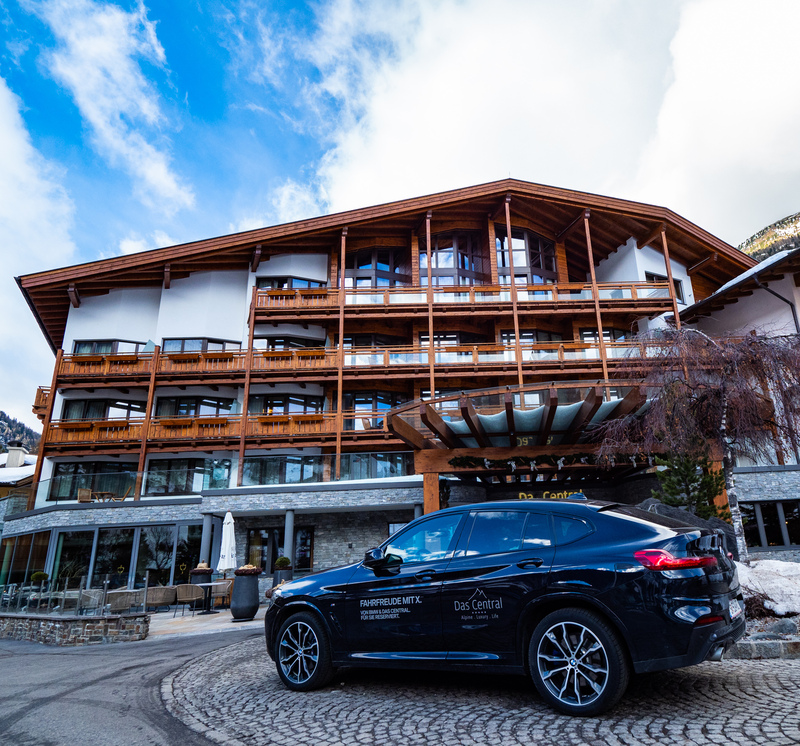 The first part of the morning will focus on testing the all-wheel drive system and Hill Descent feature in the X2, X3, X4 and X5 models. 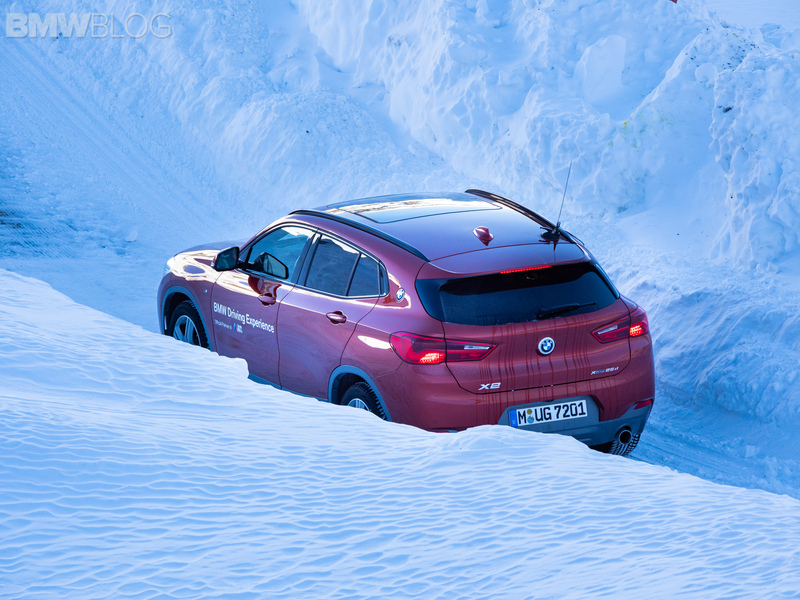 Track was setup in between some 5-10 meters tall banks of snow where you could test the best features of BMW’s crossovers. The Hill Descent part of the exercise was the most interesting one since you have to learn to trust the car as it goes downhill and brakes on its own. All you need to do is steer the wheel and those steep slopes are easily conquered. Next, we go even higher into the mountain where another track with a slalom was setup for us. We jumped into the 1 Series Hatchback, 4 Series Gran Coupe, 5 Series and 7 Series Sedans, X5 SAV (the latest generation) and surprisingly, the all-new M850i xDrive, clearly the car everyone was admiring. Markus is once again on the radio walking us through what comes next. First, we learn about the ideal line uphill and downhill, and while we follow the lead car we can experience in real-time the unknowns of a road never traveled before. 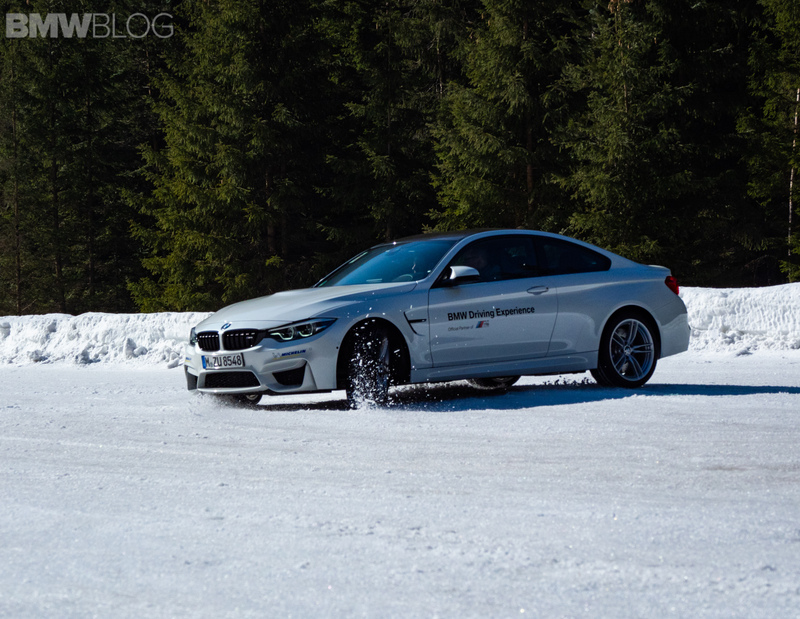 You get to learn the steering angles while both ascending and descending, and later one, for the cars equipped with xDrive, we tested the electronic brake feature. By simply pulling up on the e-brake button, the system acts as an emergency brake applying stopping force to all four wheels and slowing the vehicle to a complete stop. This, of course, it’s a feature of the system in all-wheel drive cars. Now, it’s time for another braking and evading exercise, on a slope versus a flat surface. Starting at the top of the hill, through a very narrow road, you accelerate the car up to 50 km/h. 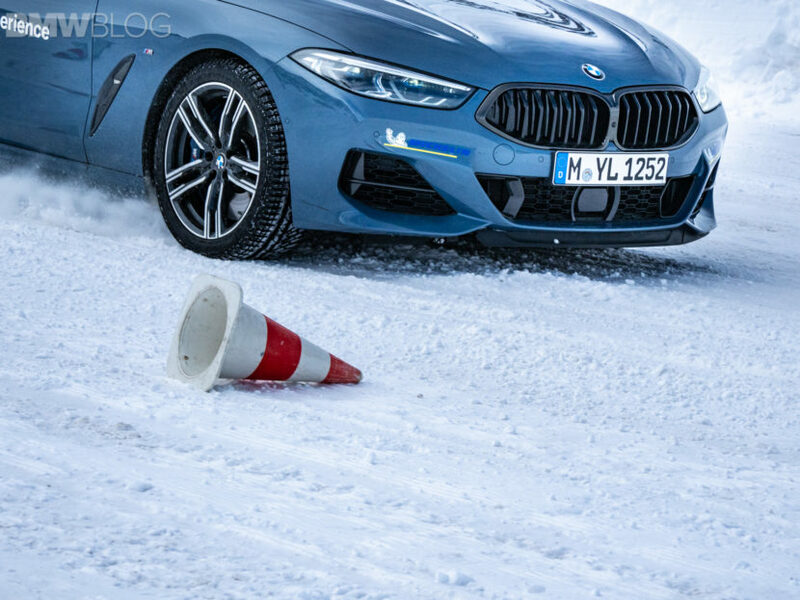 At the end of the track, the cones indicate the braking point and direction, so while you slam the brake, you’re supposed to steer to the left and stop the car. The exercise it’s a bit more challenging since you’re coming downhill so you have to make sure that the maximum speed doesn’t exceed 50 km/h, so you can perform a safe stop. 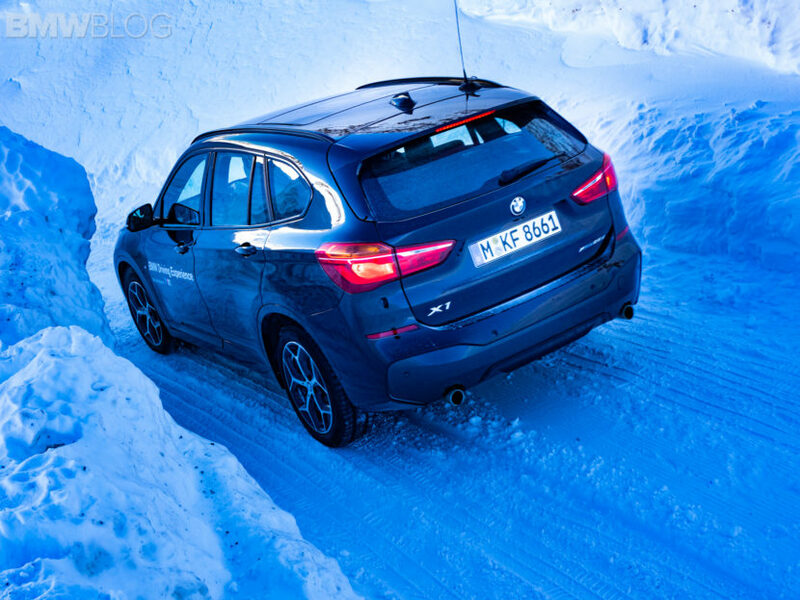 Of course, the xDrive system plays a huge role in this exercise and after a few runs, the confidence in the car relaxes you. 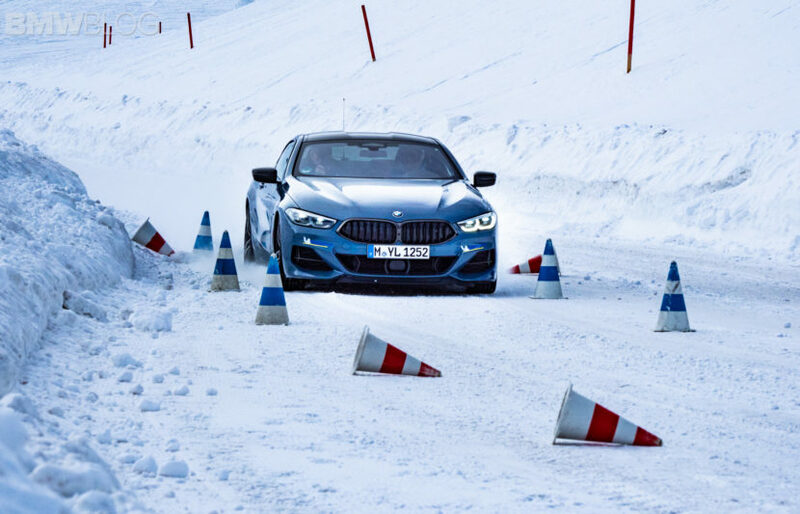 There are also driving on snow tips inserted throughout the program, one of them, is learning how to launch the car up the hill on a very slippery surface. Basically, you can position the car sideways on the road, leave some room at the front to move forward, then slowly steer into the direction up the hill. The idea here is to get some velocity before you attempt to climb and the most important thing, having the wheels straight. 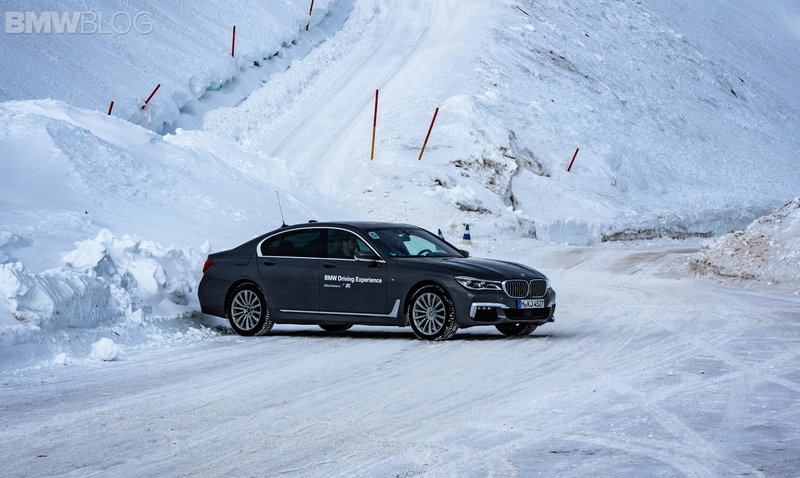 According to our BMW instructor Markus, we are now on the highest driving road in the European Union, and home of the highest driving program. Since it’s Sunday, the slopes are filled with skiers, and while we’re also mesmerized by their skills, they’re also interested to see what we’re up to. Being among them just a few feet away, makes for interesting conversations which are continued during our lunch at the Rettenbachferner, the glacier’s cantina which has some fantastic traditional German and Austrian food. Push the tray, pick-up some chow, pay and enjoy some good talks while admiring the scenery. 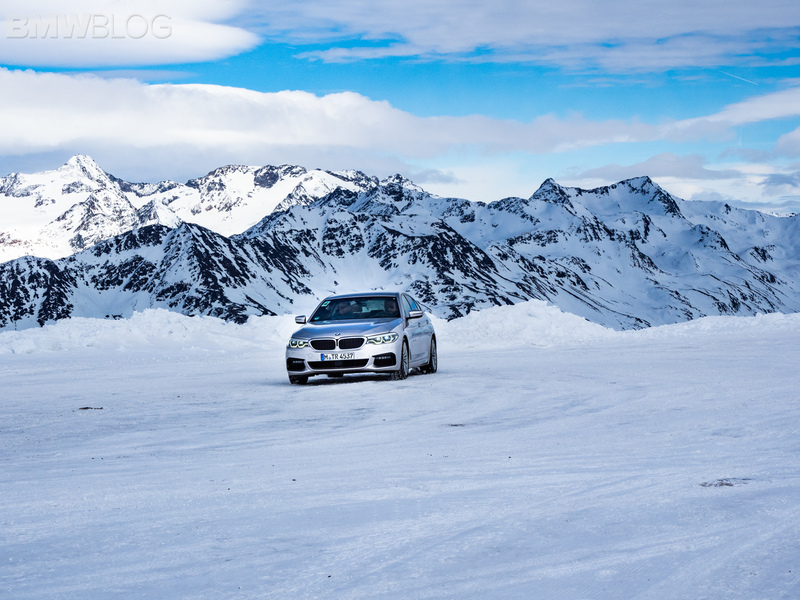 And no BMW Winter Experience on snow can end without some more drifting. 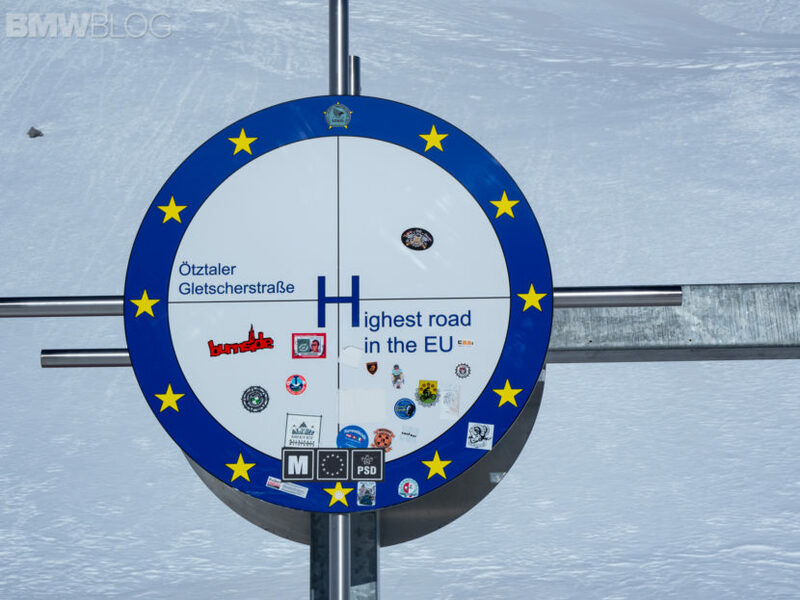 We’re taking the highest road tunnel in Europe which is named after the famous German skier Rosi Mittermeier. On the other side of the mountain we’re now on the Tiefenbach glacier which can lead you to a 15-meter pyramid stands sentinel over a steel and glass footbridge which extends 20 meters over an abyss. We’re now reaching two other courses setup for drifting, both of them with the Alps in the background. This is where we will spend the next hour honing in our drifting skills, but this time, with “regular” rear wheel-drive BMWs. The tracks feature as series of “eights” which give you enough space to slalom between them, before reaching a U-turn at the end. The short track allows you to simply focus on the technique and not worrying about reaching high speeds. It’s also a quite different drift than the previous day, considering we’re in non-M cars, heavier and with a softer steering. So while the M4s were all about smooth inputs, now it’s all about the proper steering technique. The end of the program is upon us, so we’re heading back to the Rettenbach glacier for one last – you might have guessed – drifting session. Despite wanting to get one more drift in, I had to get some work done as well, so here comes a small drone to capture some of the beautiful scenery and the BMWs being drifted around. The rest of the group plows through the snow – pun intended – and performing some more advanced drifting exercises and slaloms. 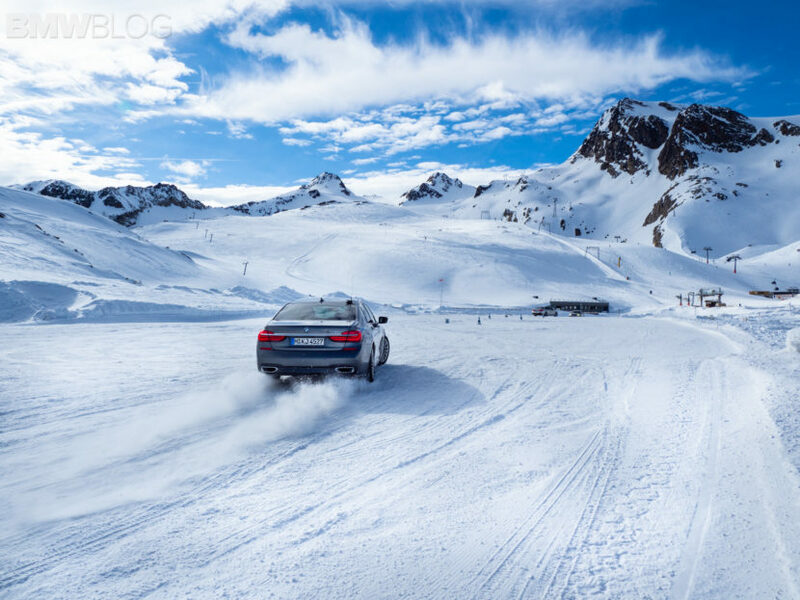 You can tell by now that everyone is having the time of their life, which is why I believe that the BMW Winter Experience is a must item on everyone’s Bucket List. It’s quite unique experience that doesn’t just involve driving, but also a luxurious experience coupled with amazing landscapes that are second to none. It’s now time to take the PistenBully downhill and back to Das Central for one more mountain meal – cheese and cold cuts – before leaving Sölden. 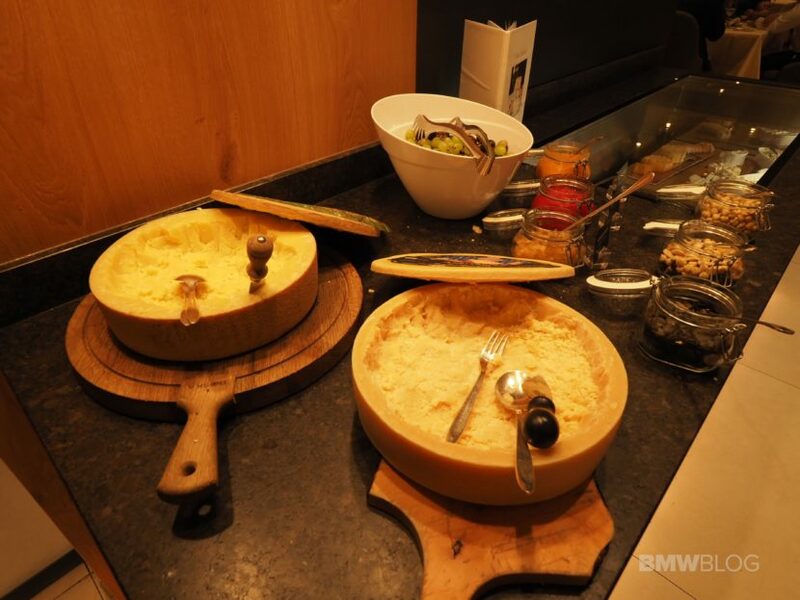 At the end of the program, a bond was formed among participants, new friendships were made and future driving plans were put in motion, and that’s exactly the outcome you’d want from a BMW Driving Experience! 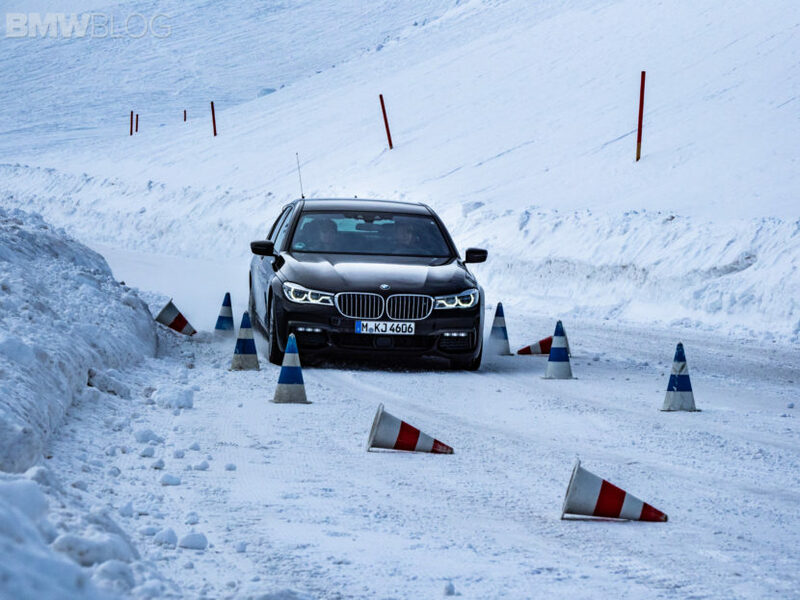 More details on the Snow Training Level 2 can be found here while other BMW Driving Experience program can be further explored at this link. 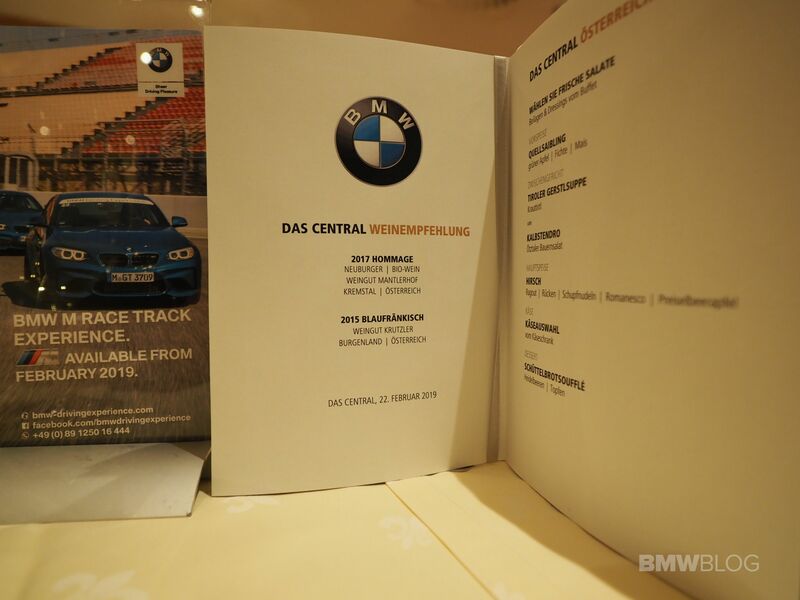 Disclaimer: BMW AG has provided the course and accommodations at no charge to BMWBLOG, but some other expenses were supported by BMWBLOG. The review is purely based on my experience and impressions.